Broadway's barest, rarest, unsquarest love play. Sometimes opposites attract. That’s the case with Corie and Paul, newlyweds with very different personalities. They’re crazy about each other, but Corie also sometimes finds Paul too reserved. One night Corie plays match-maker and they go out with her mother and their outgoing, eccentric neighbor, whom Corie thinks might add romance to her mother's life. Corie and the neighbor are so exuberant that both Paul and her mother are embarrassed. Corie tells Paul their marriage isn't working. She reminds him that he wouldn't even walk barefoot in the park with her one day. 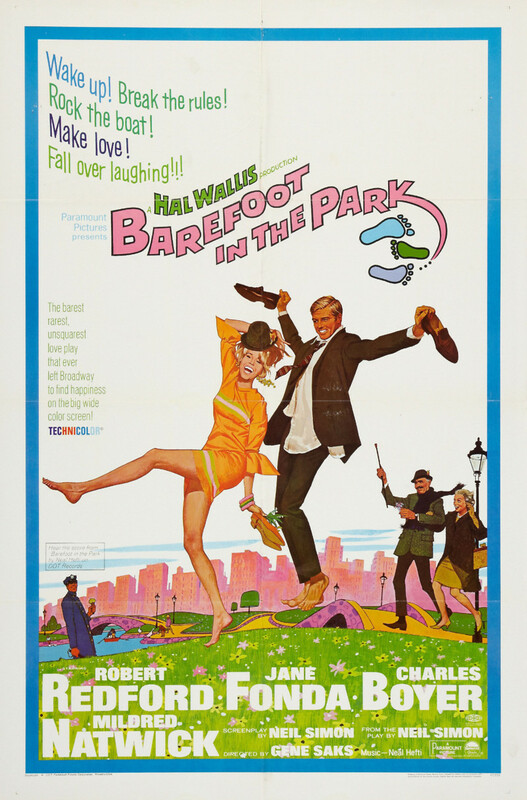 Paul is devastated at the thought of losing her, gets drunk, and runs barefoot through the park. They reconcile, and the mother and neighbor also get together.